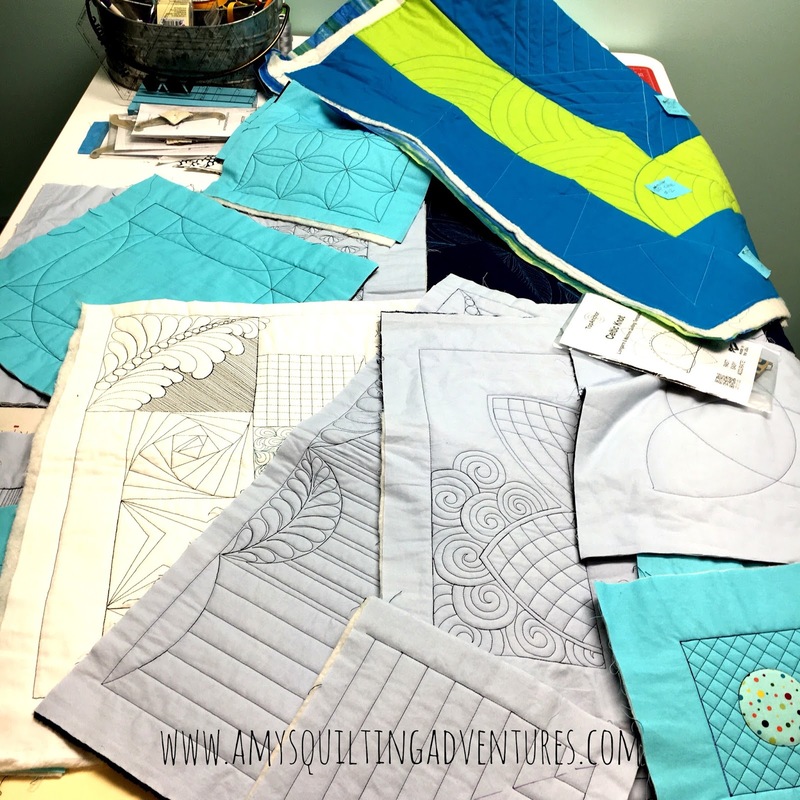 This student was really new to free motion quilting, but she loved using rulers. So many designs from just a few basic rulers. If you look at the designs I created over the past few years, both in my classes and in my other projects, and you'll see that I keep the rulers simple. So many designs from just a handful of rulers. There are a lot of rulers being released into the marketplace these days and if one speaks to you, or many, that's great, but you don't have to load up with a ton of rulers. I really love the new ruler foot from Janome for the MC15000. A similar version will eventually be available for other Janomes with the automatic presser foot lift. Other Janomes will still use the convertible free motion foot set and the ruler foot combination. 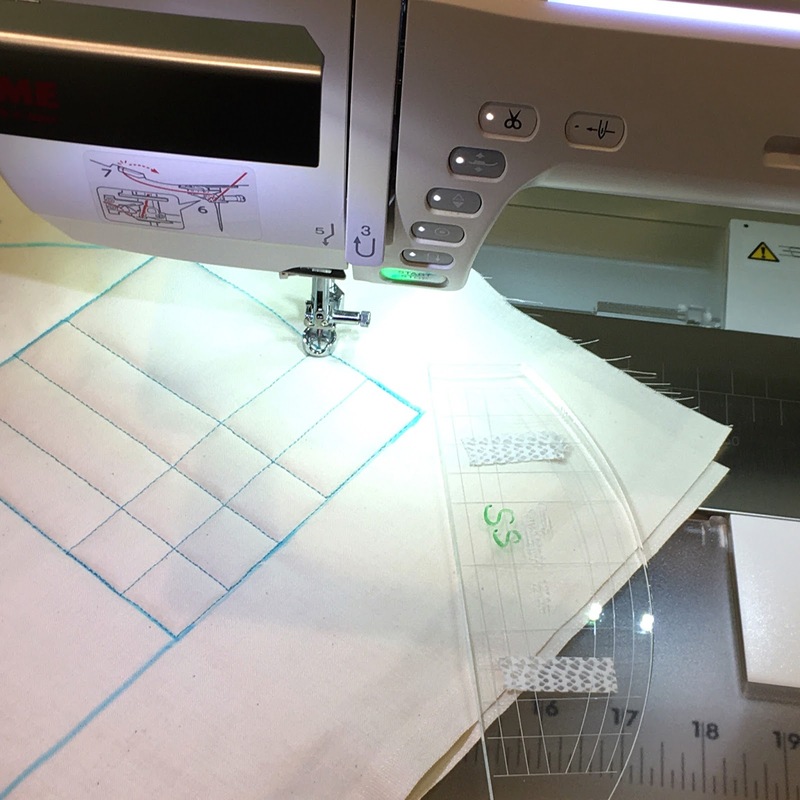 Janome has really set the bar when it comes to quilting with rulers on sewing machines. As I mentioned in a previous post, I had mentioned the need for this foot at a Janome training about 18 months ago to the president of Janome America and while I don't think my comment was the origin of the development of the foot, they saw the interest growing in ruler work and made it happen. 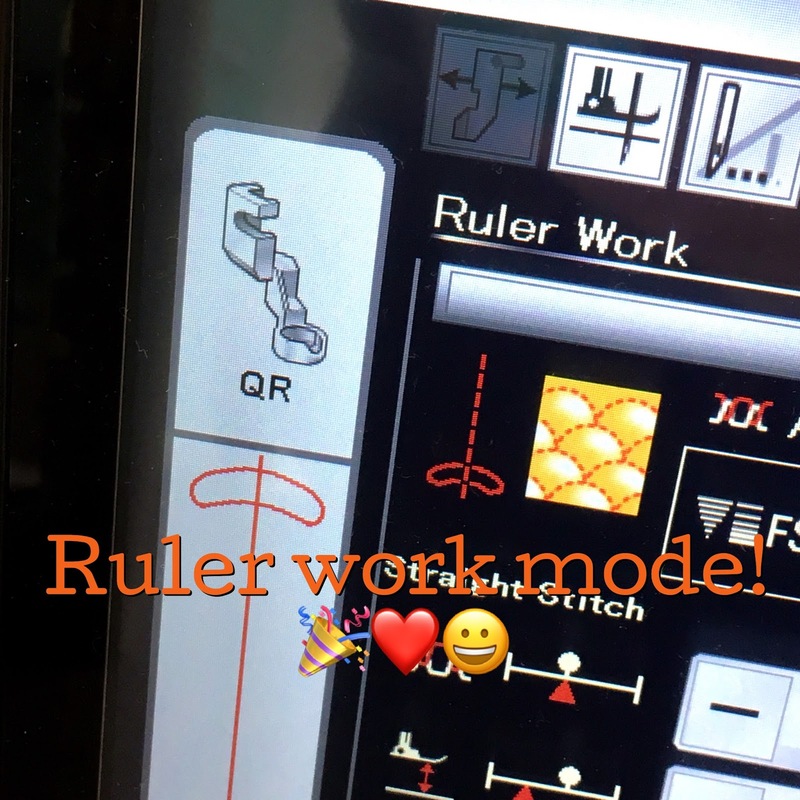 They went beyond just a new ruler foot, but an actual ruler work mode! It makes it really easy to set up for ruler work and adjust the foot in the menu for the perfect height for your project. This feature will be added to the machines that will be getting this foot upgrade. Janome also got a set of rulers made up to go with this new foot and I have a set of them. I haven't had time lately to play with them, but I will soon. They are made by Westalee/Sew Steady and lean a bit toward specialized shapes on the smaller side. I hope to give a review as soon as possible. I have several tops ready for quilting, so I'm hoping to show you something more interesting soon. Being a shop owner sure fills your days with a lot of admin stuff. Not fun. But I'm loving the chance to be a cheerful shop where folks can be encouraged and educated in their creative sewing adventures. 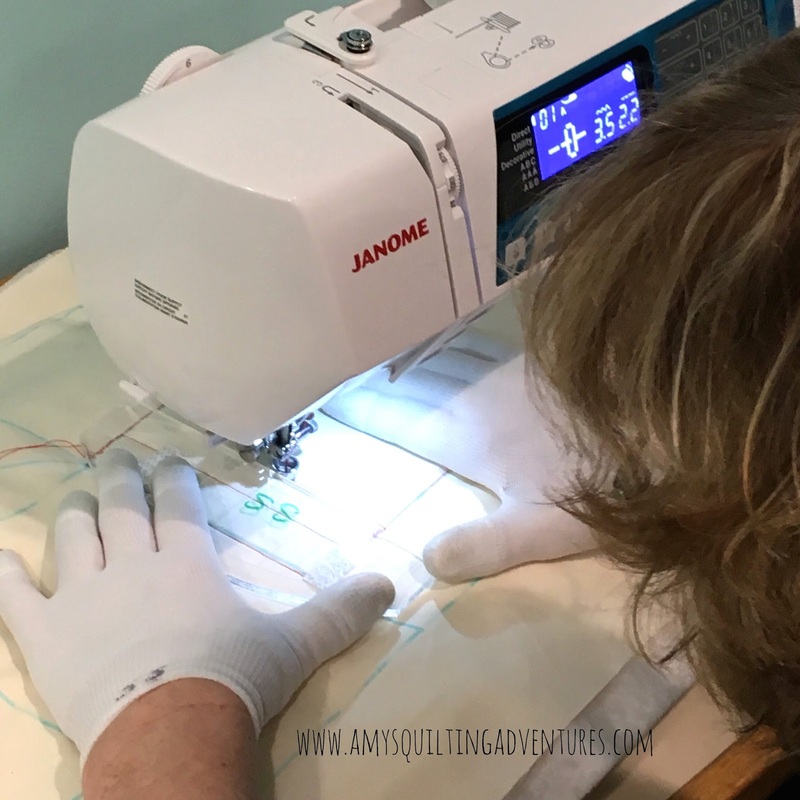 I hope you are having your own quilting adventures as well!